Mathematica 11 (or 10 or 9) must be installed on your computer (not included). 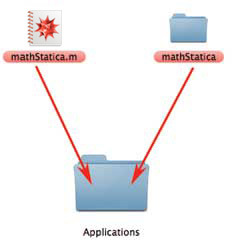 See Step 1 below for instructions on how to find your mathStatica installation folder. folder on your computer’s hard drive. THIS LOCATION IS VERY IMPORTANT. where colinr will be replaced with your user name. Hey - I can't find that path !?!!? ... and you have arrived at your destination. 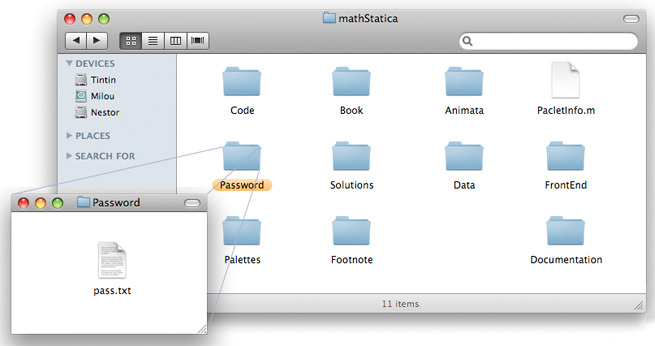 Tell Mac OS X to make your personal Library folder visible. To do this, go to your user directory in the Finder e.g. 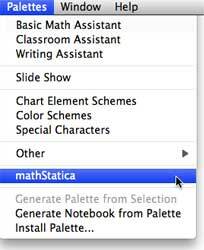 Then, in the Finder, go to the View Menu and select "Show View Options"
However, some new Mathematica users may not have this install option available to them. Please do not try to force it, if this is not available on your computer. Your password file will arrive by email. That's it. Run Mathematica 11 (or 10 or 9). Start up Mathematica 11 (or 10 or 9). The first time you start mathStatica, the following message may appear: If that happens, click "ENABLE DYNAMICS"... and you are ready to go.